As wintery weather takes hold in the northern states this mid-November, many are already missing color in their landscape. Blanketed in snow, most are not thinking about what to plant or developing design plans for the next growing season. Except for perhaps, your landscape contractor. They know planning for Spring color doesn't happen overnight and are looking to plant growers as a valued resources to aid them in the process. 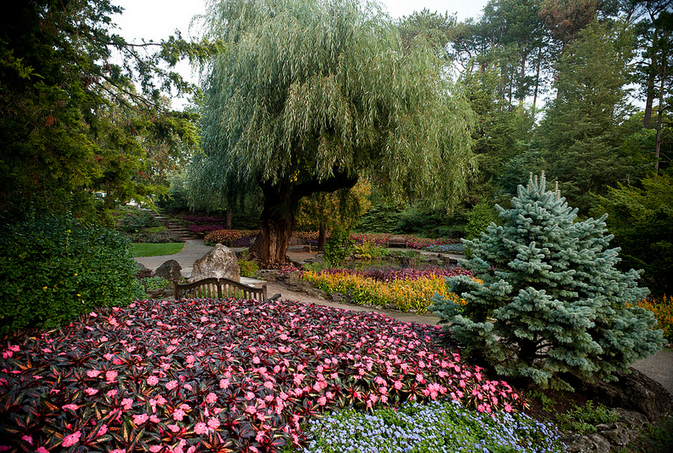 Planning for Spring color in the landscape is our focus on the next #landscapechat. Join @CoronaTools and special guest, Jeff Gibson of Ball Horticultural tweets with us as @PanAmSeed on #Landscapechat, Wednesday, November 12, 2014 at 11AM/ 2PM ET. This is the Twitter chat where we come together with green industry experts and fellow landscape tweeps, each week to discuss all things related to landscape, since 2011. A Growers Overview - Discover what goes into producing landscape quality plants. Talk to Your Growers - Learn why landscape contractors should engage with growers during the planning process. When the Planning Begins - Hear why planning early helps to ensure the availablity of plants and discover plants being introduced. Considering the Planting Environment - Understand the landscape issues during the design stage and select the right plants for the space. Landscape Planning Resources - Find resources that can help with the planning process and help sell your plans to customers.